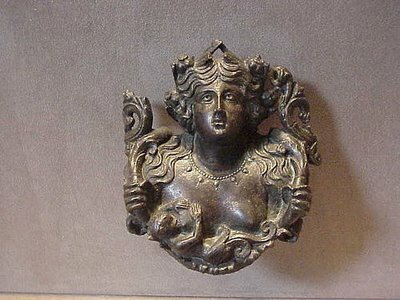 Bona Dea is a Roman Goddess who’s name actually means “good goddess.” Her festival was held in December, where people would gather and feast in her honor. Roman’s also called upon her for help with child birth, and encouraging a fertial womb. With her avid connecting to abundance and joyful giving, she was commonly worshiped among maids, and underclassmen. When sickness struck a village or individual, Bona Dea was called upon to grant healthiness. Snakes were associated with healing, so Bona Dea was often shown in art with snakes around her arms and a cornucopia with coins at her feet. She is the ultimate protector of women, and had women-only rituals preformed in her name. Men were forbidden to enter these rituals, and anything masculine in general was prohibited. Even speaking about masculine energy was not allowed. The workings of these rituals remain a mystery, but most likely concerned agriculture and fertility. Asking for protection could have also been involved, because she is known for guiding women through all phases of their life; maiden, mother, and crone. Bona Dea reminds us all of the true gift of giving. Being able to give is the best, most precious gift of all. When you give to someone, you also give to yourself. Its all part of the balance in life. That goes for receiving as well. You have to take in as much as you give out in order for it to have true meaning. This holiday season, try to get out in your local community and donate to a shelter or any other charity facility. Give anything you can, even if its just a few canned goods.